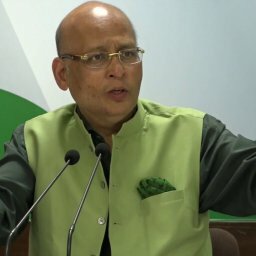 Dr. Singhvi said it is quite astonishing the amount of misinformation and distortion which has been going on since today forenoon in regard to the court proceedings of Young India / National Herald. I sometimes wonder if the Government does not have better things to do or focus on governance in this country than to circulate unsigned notes of briefing to all of you which are actually campaigns of misinformation and distortion. 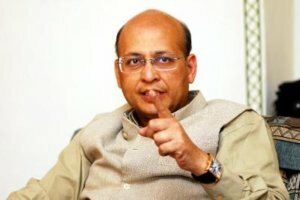 We have one such note which is the government’s version of what happened regarding the judicial challenge in the Income Tax matter of Young India. It is a very sorry sad state to find the government agencies by proxy through anonymity deliberately engaging in incomplete, partial, distorted, slanted misinformation possibly bordering on Contempt of Court because it is deliberately distorting court orders passed in our presence – my presence because I happen to be the Counsel arguing the matter. This shows the unambiguous, clear insecurity and vindictive approach. Let me explain to you why I say this. A notice is issued to Young India supposedly for reopening assessment of six years ago suddenly when no Income Tax proceedings are pending. Suddenly a Notice is sent in 2014 immediately after this Government comes, reopening proceedings six years older. The Notice is based on two queries about a Company. To cut a long story short, we go to the Writ Court today– after we get reasons from the Department and our principal ground in the Writ Court today was that the Department had no jurisdiction to issue this Notice and has no jurisdiction to reopening proceedings because as per the statute the Department has “No reason to believe’ which is essential precondition to reopen proceedings. I hope you are clear till now. 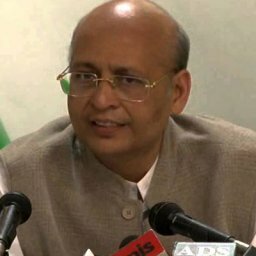 Now the Order in the course of proceedings in the Hon’ble High Court observes today – I happen to argue it – that all the points which we raised in the Writ in the Hon’ble High court can be raised by Young India before the Department including the point that the Department had no reason to believe to reopen. 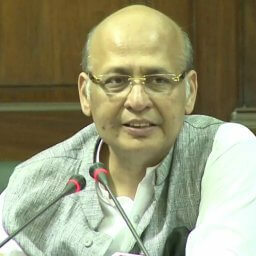 So the Court put to us that you can raise all the points you have raised before us before the Department as well and they recorded my statement and expressly gave me liberty in the judicial order that all points raised by me in the Writ in the Hon’ble High Court can be raised in the Department including the jurisdictional point that the department had no reason to believe to issue the reopening Notice. In view of the matter, because of that, I withdrew the Writ. Now this is a specific order, is this what you have been told, and is this what you are reporting? The unsigned note circulated by terrified Government proxies who have nothing else to do is using all adjectives – somebody is saying that this is the direction issued by the Court today – the Department has been directed to investigate. We will apologize to you if the order shows this. Is it not contempt of court? Some of you are told to publish that the order says Smt. Sonia Gandhi and Shri Rahul Gandhi have been asked to appear. This is all Government agencies are doing, feeding the press misinformation when our grievance is known to all, I have kept it open to be raised there in the IT Department including my grievance that jurisdictionally the Department had no reason to believe to issue the Notice in the first place. Then why should I argue for it in the Writ Court. That is the black and white order. Now from where did you get all this that the Court has directed to do this and that and Mr. so and so should appear? Is this fair reporting, is this fair for the Government agencies. We are proud to be associated with the National Herald. We are proud to be associated with the Newspaper which in the pre-independence era stood up for free speech when the Britishers were tightening and throttling free speech very similar to present day climate. National Herald stood up for certain ideals and we fully support with pride this initiative. I am now not talking of today’s case but we have already dealt with it from this podium for reminding you. Has anybody benefitted financially from this? Section 25, ‘Not for Profit’ Company the Act prohibits paying out dividend, prohibits the giving of pecuniary perks etc. Who has gained financially? It is a Section 25 Company. No financial gain is possible. Has there been any asset transfer – none. Can a political party receive or give loans , provision says yes. Is it a real estate company, is a somebody’s fertile imagination to think so. These are properties owned by this Company for decades. And who can benefit, it will remain property of ‘Not for Profit Section 25 Company’. Yes, we understand that the ruling party wants to indulge in this campaign of misinformation only because either they want to supply information to their proxies who are fighting us in Court or they do not want to go by the facts because they are scared of the fact.